Cotton tree with depth 2 and 5 fingers. 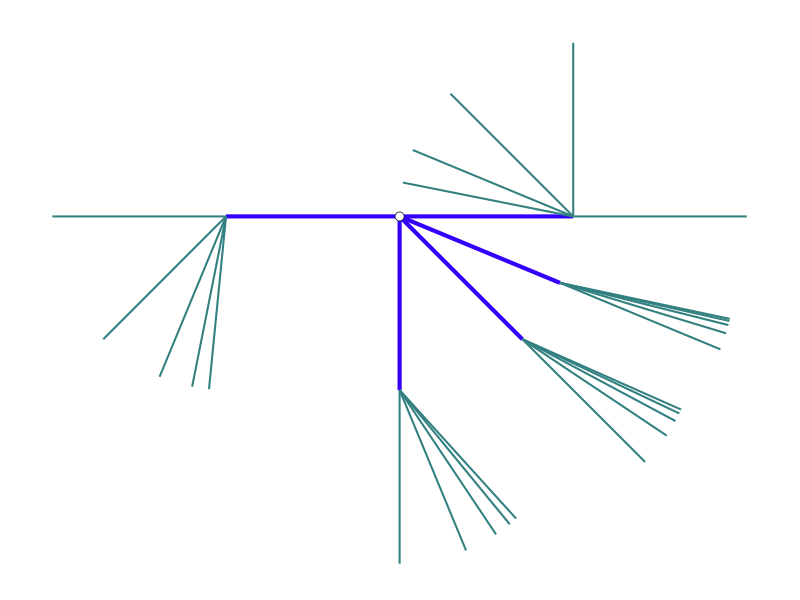 Cotton tree is a particular way to embed the regular tree of degree omega into the plane. 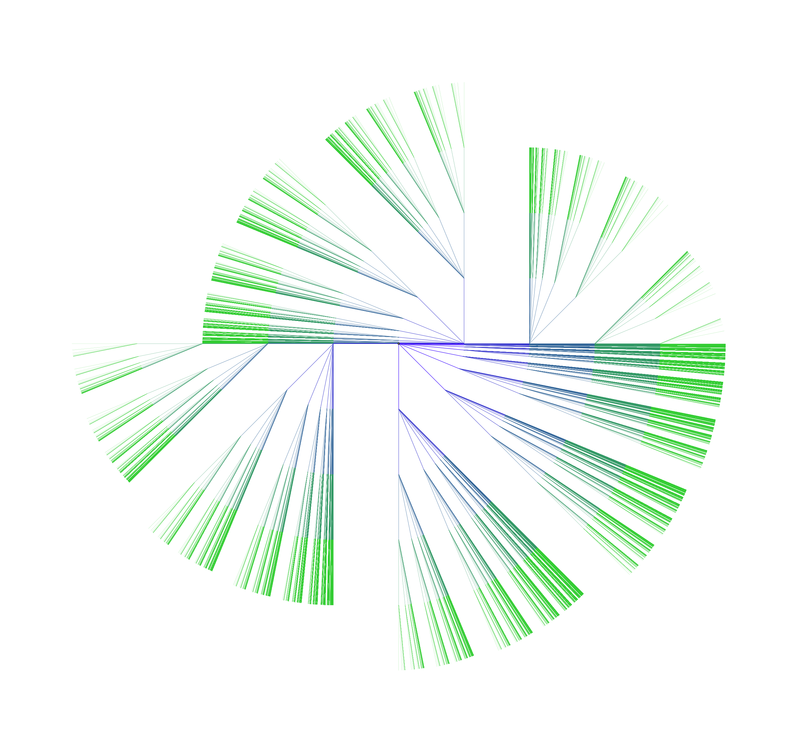 It is a Cayley graph of the free group on omega generators. Every edge is unit length. 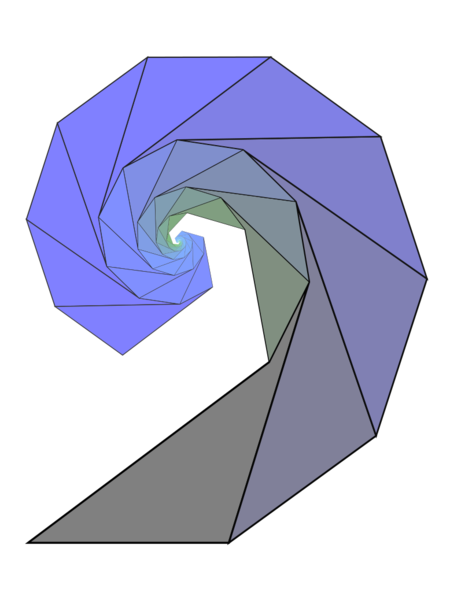 At each vertex omega edges are drawn by halving the available angle. We cannot draw the infinite tree, but to visualize it, we can stop drawing so many edges away from the starting vertex (depth) and only draw so many edges at each vertex (fingers). Cotton tree with depth 5 and 13 fingers. A grid-like tile consisting of similar tetragons. 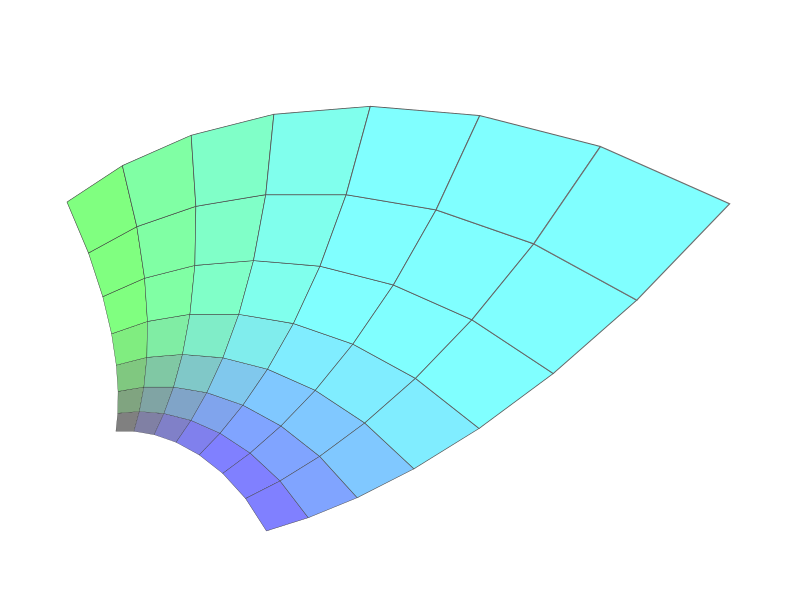 A 10 by 17 grid with similar concave tetragons.